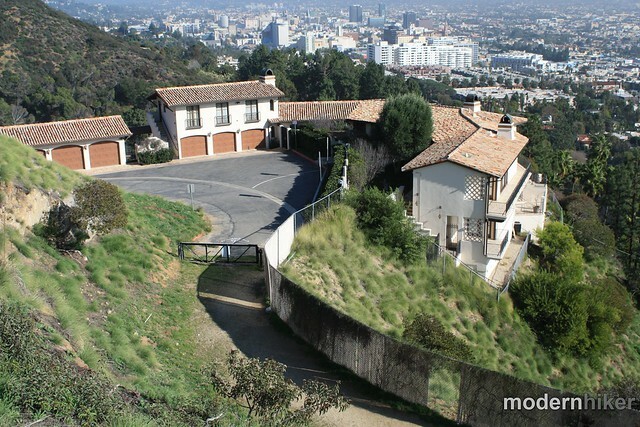 A just-under-3 mile out-and-back in the Hollywood Hills. 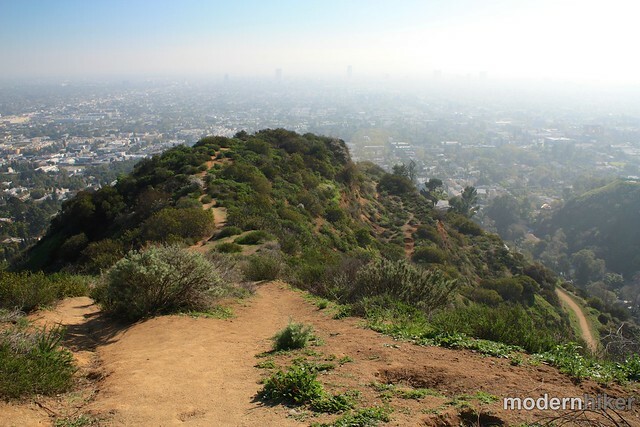 This seldom-traveled route offers fantastic city views and easy, dog-friendly routes. 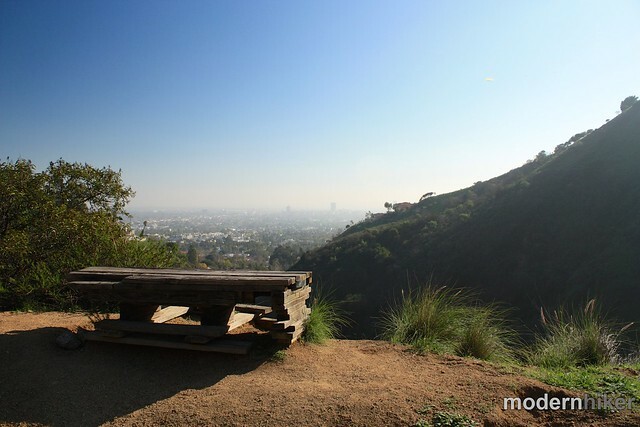 While parking and trailhead issues may be complicated, this area has many of the same features and views of nearby Runyon Canyon with a fraction of the foot and paw traffic. A nice, hidden gem. 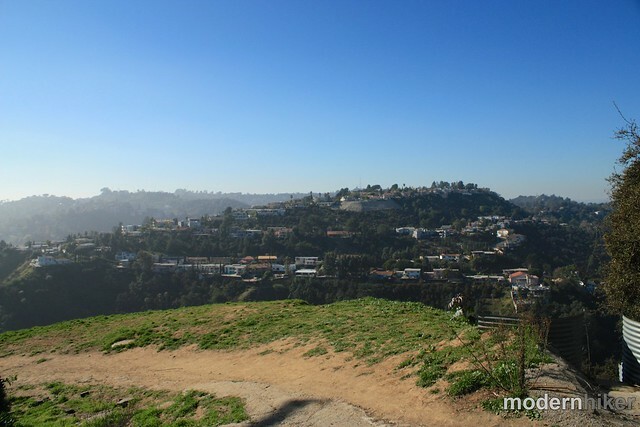 If you’re like me, you’ve often gazed at Google Maps of the Hollywood Hills, saw a little green slice next to Runyon Canyon called the Trebek Open Space and wondered what the heck it was. Well, today I finally took the trip up there to check it out. 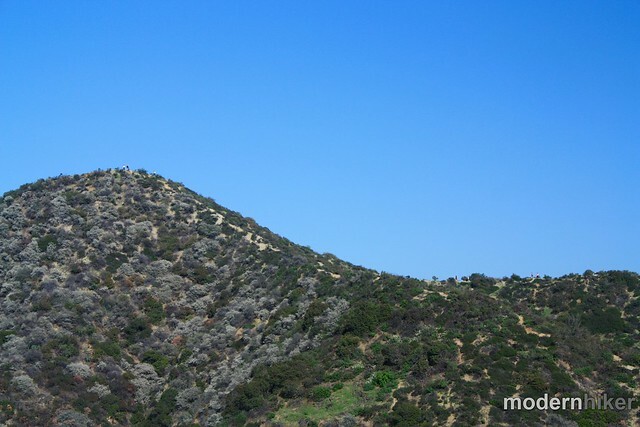 The area is 62 acres of land donated to the Santa Monica Mountains Conservancy by Jeopardy! host Alex Trebek back in 1998. 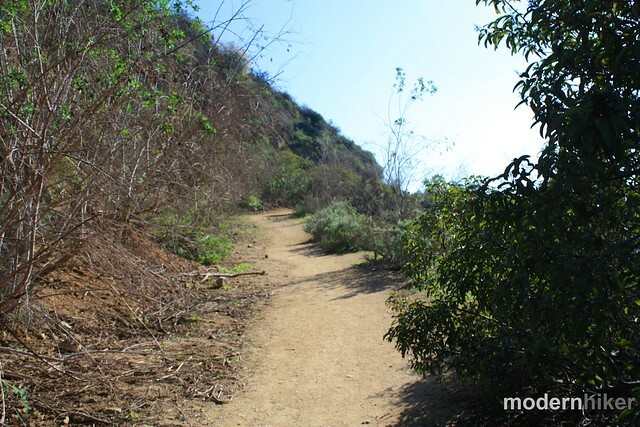 Because the land was already being used by hikers from nearby Wattles Garden Park and Runyon, the Conservancy was happy to have the land to improve the trails and maintain a wildlife corridor in the area. Unfortunately, the park itself is a little difficult to get to and could probably use a bit more love and care from the Conservancy. While reading up on the area, I found many others had recommended just driving up Curson Avenue to enter the park’s southeastern corner. Unfortunately, when I tried this (on a Monday afternoon), the route was blocked by a large, locked auto and pedestrian gate. 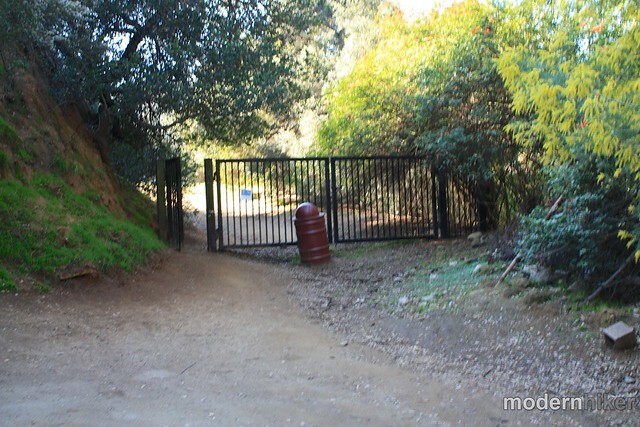 If you look at a Google Map, it looks like you can enter the southwestern corner off Castair Drive, but this, too, is blocked by private landowners who love giant, locked gates. 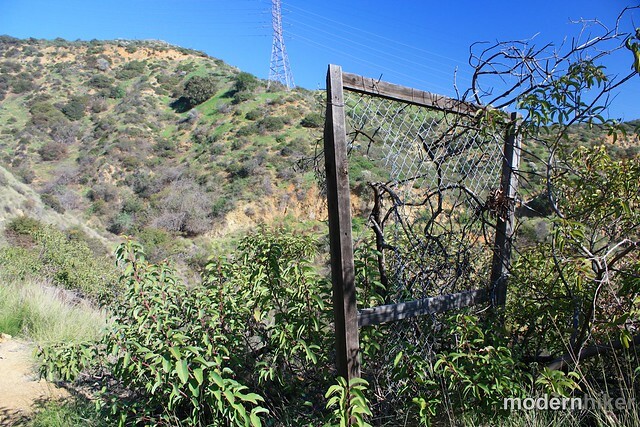 Instead, I had to head a bit further up Nichols Canyon Road to the open gate to the Bantam Trail. The parking area is small but free and nicely shaded. 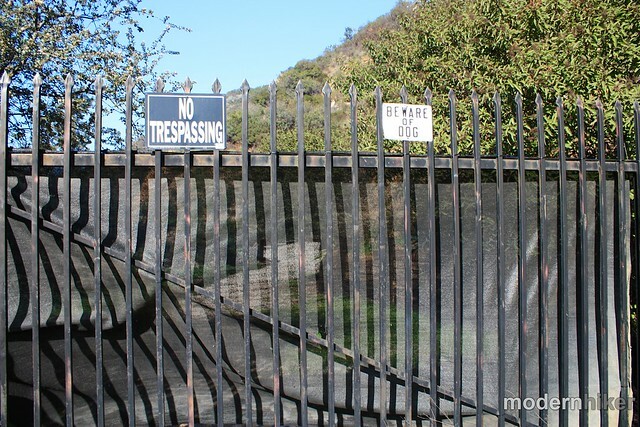 (NOTE: I did a return visit to Curson Ave and found the pedestrian gate unlocked. Not sure if it’s locked at certain hours or days, but it IS possible to reach this trail from that street). Look for the gate and head on through. 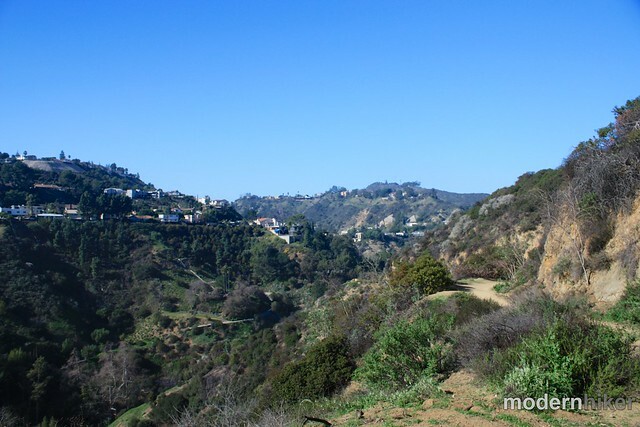 I saw a lot of birds, heard some frogs from the Nichols Canyon Creek below … and saw a lot of fancy houses. The path here is wide, gently graded, and easy to follow. It’s about a half mile to the first junction and you’ll only gain about 160 feet in elevation, so just enjoy the views! When you get to the half mile mark, take a sharp left to head up on the Astral Trail to tack a bit more elevation and distance onto the route. At about the 0.74 mile mark, you’ll reach a gate at the trail leading onto Astral Drive. This is an alternate trailhead if you want to start off at the high point of the Open Space. There’s not a whole lot to see here, so turn around and head back to the junction, taking time to enjoy the views of the city as they spread out in front of you. If it’s clear out you’ll actually be able to see quite a bit – I could make out downtown and the San Gabriels to the east and all the way to Santa Monica to the east … I was just seeing them through our usual layer of L.A. haze. When you return to the junction, stay to the left and continue hiking until about the 1.1 mile mark. 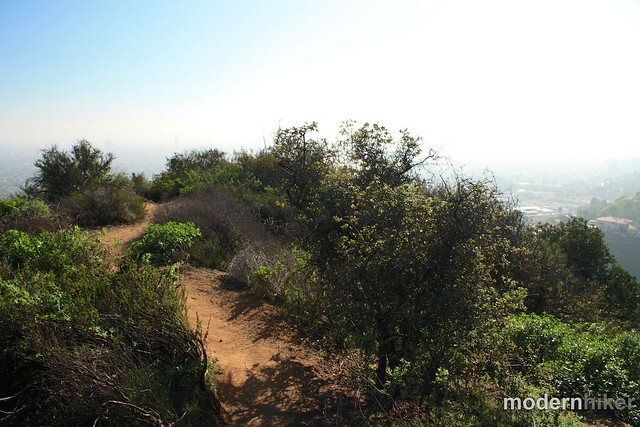 Here, you’ll see a USGS marker in the center of a ridge – and you’ll have a great view of the western ridge trail in Runyon Canyon just across the canyon to your east. From this vantage point, you’ll be able to make out the Castair Trail beneath you – and you’ll see that this little use-trail you’re about to hike on is going to have to get pretty steep to meet up with it. It does get steep, but it starts out as a fun little single-track that follows the ridge. This use trail is only 0.2 miles long, but it’s by far the toughest part of this route. 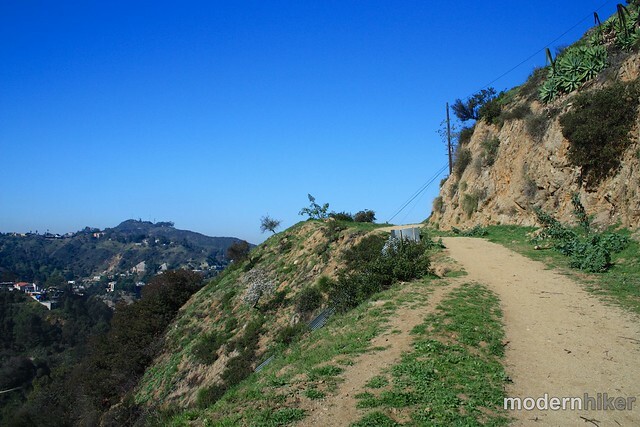 The last few dozen yards are very steep and are covered in that loose, crumbly gravel that you find all over the mountains of Southern California. If you’re just here for a casual stroll, skip this part of the trail and head back to the trailhead. If you’re headed down, just take your time … and don’t be afraid to use your hands. When you make it to the bottom you’ll be right on the Castair Trail. To the east, you’ll see a vehicular gate and some more fancy houses. This is apparently an additional trailhead reachable by the end of Curson Avenue, but the gate I saw wasn’t even letting pedestrians through so I’m not sure when that’s open. To continue this route, head west on the Castair Trail – a broad, winding old fire road that provides many of the same views as the upper route, with a few minor flourishes here and there. At the 1.8 mile mark, you’ll reach the end of this trail and yet another locked gate. Turn around and head back to your car the way you came in, making sure you take your time on that scramble ascent on the use-trail. Good. The two main trails are old fire roads that are in very good shape. The use-trail that connects the two is very steep and covered with loose gravel and might not be suitable for some hikers. 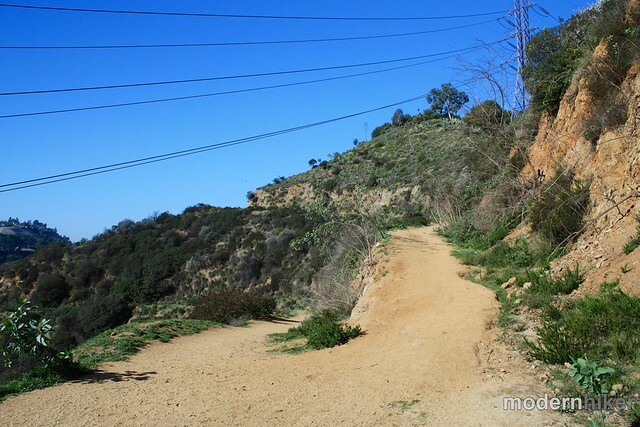 This route starts at the Bantam Trailhead off Nichols Canyon Road. 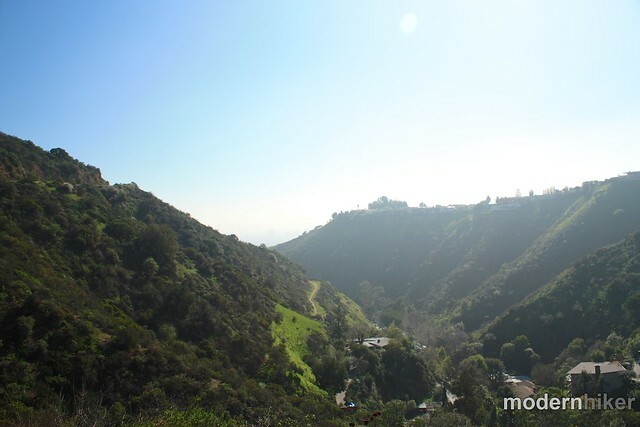 From Hollywood Blvd., turn north onto Nichols Canyon Road and travel about 1.3 miles. At a very sharp bend to the left in the road, you'll see a small parking area on the right hand side of the road. Look for the gate to the Bantam Trail and a green Fire Prevention sign. No fees required. If you started where I did from Nichols Canyon Road you'll have no trouble at all doing the upper portions of the trail with a stroller. 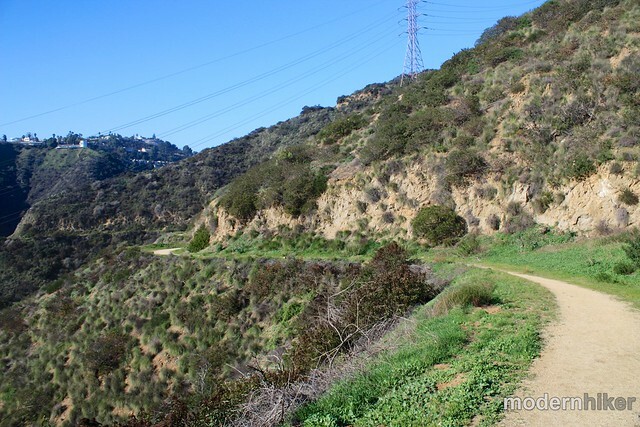 Likewise, if you start near the bottom at the end of Curson you can do the lower portions with a stroller, too. You won't, however, be able to take a stroller up the ridge trail that connects the two. This looks amazing and as always a great write up. How possible (or difficult) do you think it would be to push a jogging stroller up atleast to the half way point? As far as a novice looking for a challenge?